Are you decking the halls? Deck out your fence too! If you have a fence in Richmond, there are lots of great ways to take advantage of the opportunities it offers for holiday decorations. 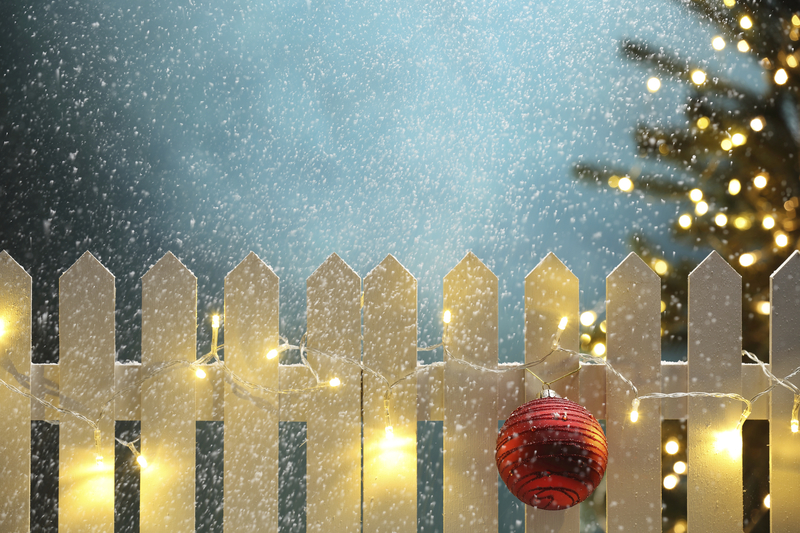 Put the lights on your house, candles in the windows, and then read our blog on how to decorate your fence for the holidays. Lighting definitely makes your fence stand out. Run lights along the top of the fence or get creative and weave them around posts. There are lots of different kinds of lights to choose from. White lights give your house a classic and calm look. Add some colored lights for variety, or choose lights that can affect a flashing pattern to give the impression of falling snow and really catch the eye. LED lights are a good choice because the use less energy, which will save you money on lighting costs. Make sure to turn the lights off before you go to sleep to save energy. Who said ornaments were just for trees? There are lots of ornaments designed for outdoor use that you can find at your local holiday store. Use cable ties to connect your ornaments to the fence so they don’t blow away. Wreaths work as a decoration almost anywhere, including on your fence. Add ribbons and garlands to spruce up fence wreaths. 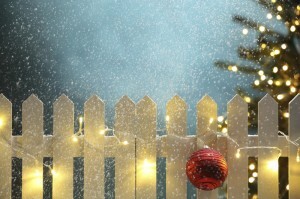 If you share a fence with your neighbors, don’t forget to talk to them before you decorate. You might even find you can collaborate on a decorating project with your neighbor! If you’re considering installing a residential fence in Richmond, contact the fencing experts at Hercules! Hercules Fence of Richmond has been providing professional fence installation and service in Richmond for more than 50 years. Call us at (804)752-7992 or contact us on our website to learn more about residential and commercial fencing in Richmond. This entry was posted on Thursday, December 11th, 2014 at 9:02 pm. Both comments and pings are currently closed.